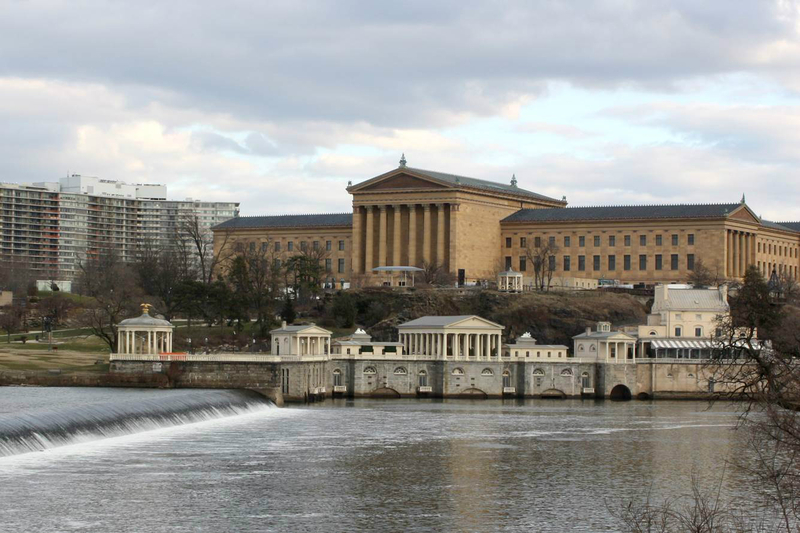 The city's Historical Commission approved the installation of Turrell's "Skyspace "pavilion last month, paving a spot for a rocky outcrop. For many, work by American artist James Turrell is instantly recognizable. Using light and basic geometric forms as the material of his compositions, Turrell subtly alters space and perception for visitors, creating weight and depth through visual experience that evokes meditation and contemplation. Turrell's work is at its height when gazing skyward. Multiple iterations of his Skyspace series have appeared around the world framing a dramatic slice of the heavens in his pristine geometry. The work is, essentially, a skylight: an opening above a room or pavilion for viewing the sky above, but to reduce the work to its function would disregard the transformative power of a simple yet moving experience. In each installation, a confined aperture begins to decontextualize the sky, featuring the color and texture of what is seen as an element of the art. 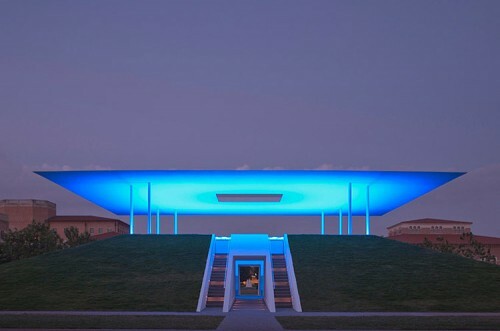 A few weeks ago, a new Turrell Skyspace was completed at Rice University in Houston, Texas. The work, entitled Twilight Epiphany, features Turrel's unique understanding of perception while building dramatically upon prior installations. A gently-sloped pyramidal mound carpeted in turf rises from the surrounding courtyard. A knife-edged white square floats above the hill, appearing as a horizontal plane without vertical dimension, into which a square aperture has been cut. From the top edge of the pyramid, LED lights wash the underside of the ceiling plane in color. To receive the full experience of the light compositions, visitors enter the structure from the two opposite sides, either decending down a ramp into an interior void or ascending staircases to sit in a ring around the outside rim of the pyramid. "If you take a photo of the sky in this skyspace, the color you see in the opening is not actually going to show up in your camera because in fact it is not there," Turrell said in a statement. "This is a gentle reminder that because we give the sky its color and then change the color of the sky, we create the reality in which we live." Besides the surreal light shows, Twilight Epiphany has been designed as an acoustics-conscious performance space. Twelve speakers are embedded in the pyramid's interior walls, offering musicians a chance to compose for the unique space, fitting since the pavilion is located alongside the Shepherd School of Music.